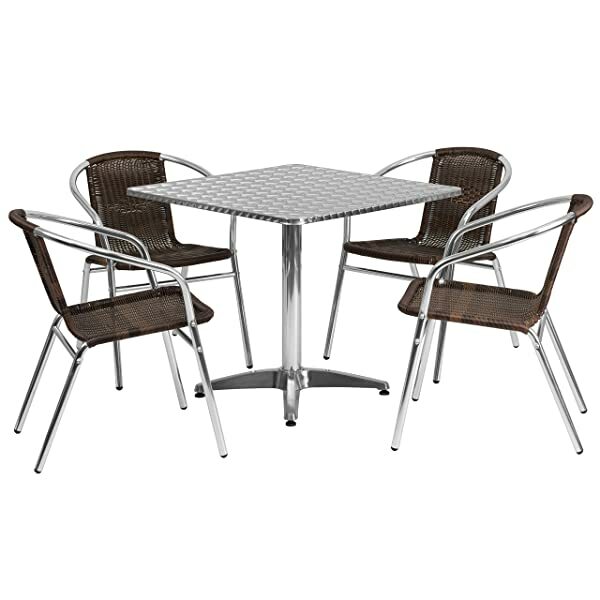 After deciding on color and possibly material, another major consideration for patio furniture is the shape of the table centerpiece. It’s that age old circles vs square question that we were first introduced too as babies with a shape sorter toy. 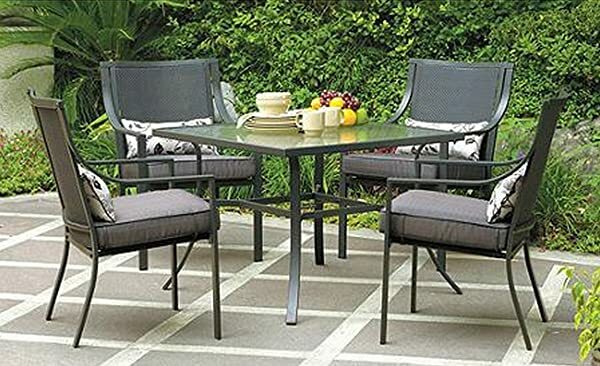 Well it’s the straight edged one that is the focus of this piece as we look at some great square patio table and chairs sets. I like the look of both round and square tables, but I felt my current garden would best be complimented by a square table. I’ve highlighted those that I created as my shortlisted candidates. I settled on a 5 piece as I regularly have a few guests over but not too many. 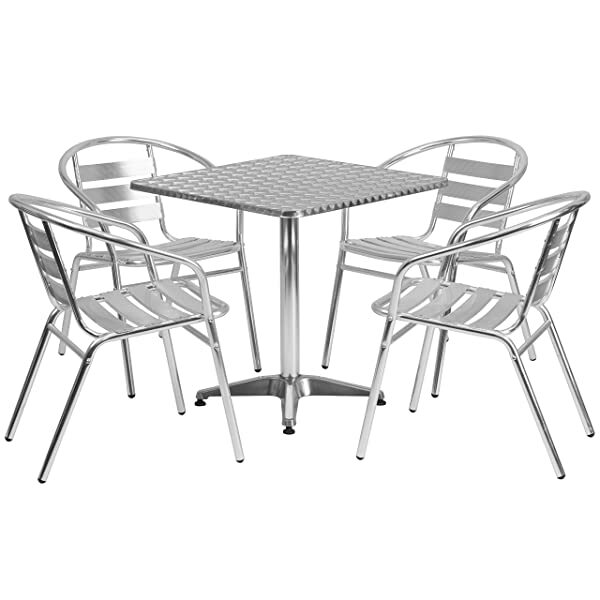 At one point I wasn’t sure whether to go for a 3 piece option and maybe get some more chairs later if needed, or to just go for a 7 piece – I’ve included 2 that I looked at below. But in the end I settled for a 5 piece. 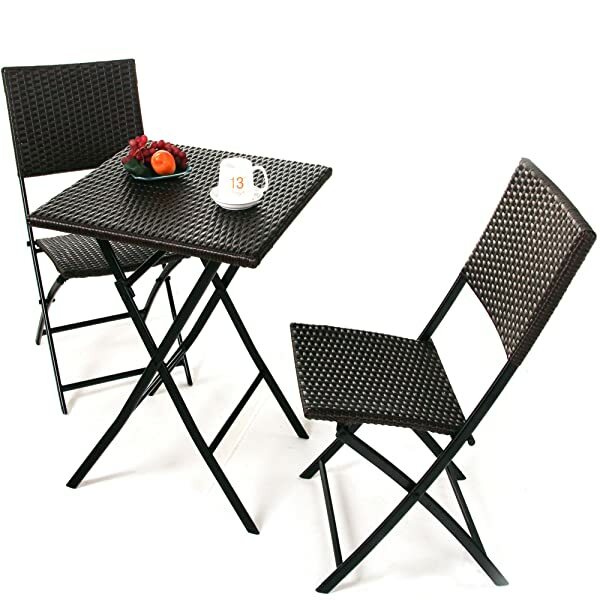 Let’s take a look at my selection of 5 great square furniture sets.